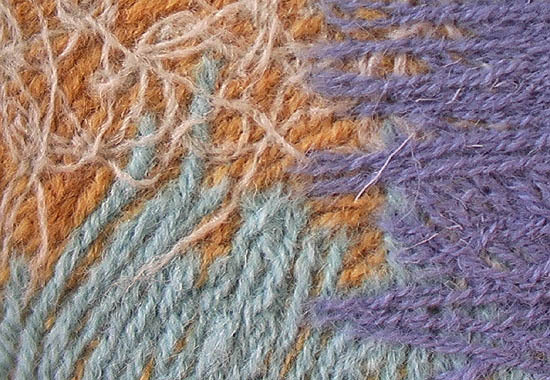 This Modern Tapestry Technique allows the artist to transform ordinary textile materials into creations, where they inject movement and plasticity where none would be expected. All lines and even the tiniest details of the composition clearly emerge in the finished tapestry. The artist's pictorial conception can be carried out in the same way as in traditional means of expression, such as in oil painting.